We all love autogas-powered school buses, don’t we? We know we do, so here’s another piece of news proving just how popular they are in the US. The best way to illustrate this is to have a look at the registration increase rate over the years. And that’s what we’re about to do. Before we give you that particular number, though, let us present you with a few others. For example, 2430 new school buses running on LPG autogas (a.k.a. propane) were put into service in 2017. This means the overall number of such vehicles across the United States now exceeds 15 thousand, which wouldn’t be impressive in terms of passenger cars, but when it comes to people carriers designed and built to transport pupils and students only, it kind of is. And when it comes to those students, 900 thousand of them are transported daily by LPG-fueled buses in 830 school districts. We believe it’s safe to say diesel is on its way out as the fuel of choice for those old-fashioned, yet iconic yellow vehicles. And so is petrol – across 2017, twice as many newly registered school buses were powered with autogas than with its conventional counterpart. CNG is also a growingly popular option, but not enough to top LPG. In 2017 alone, approximately 90 new school districts and bus contractors transitioned to propane autogas school buses for the first time, which signals to us that transportation directors are continuing to see the benefits of operating bus fleets powered by propane autogas. 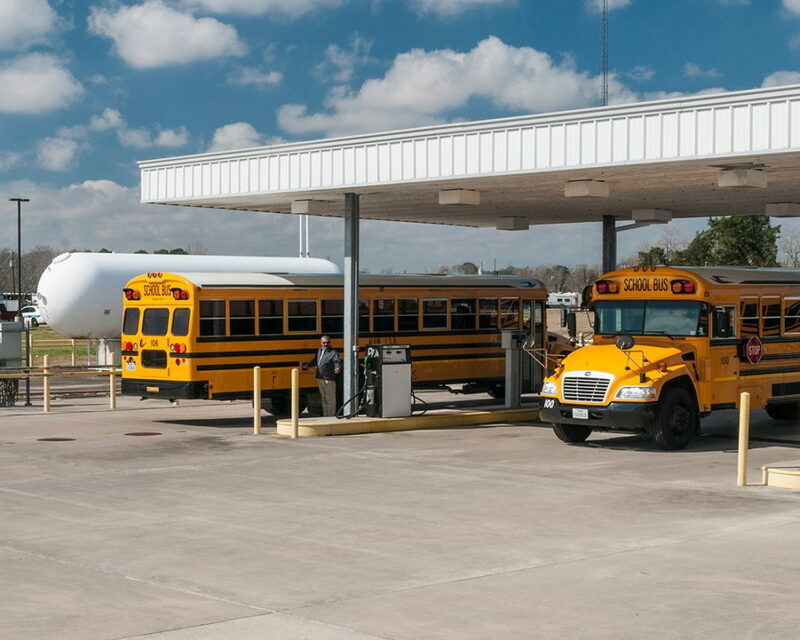 Propane autogas school buses offer a lower total cost-of-ownership, cleaner and quieter operation, and better maintenance experience than any other fuel, including gasoline. OK, but what about that special number we’ve been mentioning right from the beginning? We’ve been keeping it until now to keep you eager and interested, but here it is: between 2012 and 2017, the number of LPG-powered school bus registrations rose by as much as 676%! That’s what you call going from zero to hero – a few years ago buses running on autogas were just a novelty, now they’re here to stay. There are ten states with more that 500 such vehicles each (Texas, California, Oregon, Pennsylvania, Wisconsin, Illinois, New York, Minnesota, Florida, and Ohio) and we’re pretty sure the list will only expand in the years to come. And you can be certain we’ll keep you informed of new benchmarks set by those outstanding student carriers!